Nicki Dewhurst has been the marketing director at Sophos in the Asia Pacific and Japan (APJ) region for the last four years. 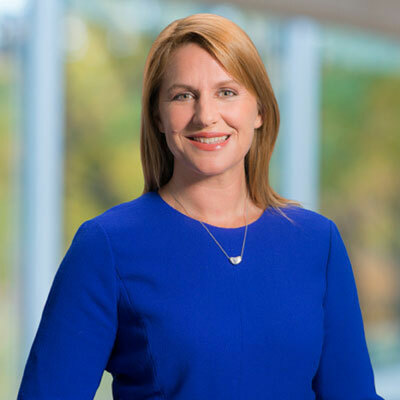 In this role, Nicki leads marketing, PR, demand generation, and channel program development in six countries to expand Sophos' sales growth across the region. An experienced marketing leader, Nicki built a comprehensive team from scratch to implement and manage these channel support activities. Nicki's career in IT, technology, and with telcos is expansive and spans more than 20 years. Most recently, as Marketing Programs Director, APAC, she has created and led the response team at Citrix for four years, building that team also from the ground up and recruiting talent from nine different cultural backgrounds in the region. She has also worked at Cisco, Optus, Cannon, and Micro Sales, one of the largest system integrators in Australia at the time. Nicki is based in Sydney, Australia but travels across the APJ region regularly. I see myself at the coalface of our channel operations, constantly looking for ways to enhance our value to the channel community in APJ. This includes my personal ongoing project; the continuous growth of and commitment to the APJ Sophos Demand Gen Engine. This involves an "Always On" approach to digital marketing, and-multi-touch lead generation that involves a highly skilled and trained team of Sales Development Representatives who qualify every lead. Over the past year we have passed close to 7,500 fully qualified sales leads directly to our partners which have a close rate of 16% per cent. From a marketing stand-point, over the past year the enhancements and new developments include: • A significant review and update to our partner program in India, and a new program on the way for Japan • The design and launch of a Partner Advisory Council with representatives from across the entire APJ region • In consultation with Partners we have completed 2 PAC meetings and have addressed a number of recommendations already. This includes our soon to be launched global first Technical Partner Conference, which will deliver a tailored experience for a selected set of the Technical Community from our APJ Partners. I don't want Sophos to be seen as simply "Channel First" - that's not enough. Sophos is 100 per cent driven by the channel and must therefore demonstrate our commitment to being the top choice for partnership across the region. I want to be famous for being "Channel Best" - whatever programs, leads, or marketing campaigns we deliver, must be considered best of breed by our Channel Partners. In order to achieve this, we are continuing to create and adapt enablement programs, and campaigns, that are accessible to all our partners across this huge, diverse region. Michelle Obama. Does this need an explanation? She's accomplished (in her own right), courageous, strong, independent, and educated. Michelle Obama is a campaigner for all the right things - poverty awareness, education, nutrition and healthy living, and women's issues - all hot button issues that need as much support as possible. At the same time, she is real, funny, feminine, brilliant. Extreme Social Media B2B guru! It strikes me as a creative, satisfying, and essential skill for today's marketers. It's also a great excuse for being hyper-connected and in-tune with today's digital world - which is becoming more social. I believe it would be challenging but rewarding to be leading this charge for B2B companies watch this space! Stealing Fire, by Steven Kotler. This was an incredible and very challenging book to read exploring how many cohorts from different ways of life are thinking outside the current norm to enhance your ability to improve your intelligence, your ability to enhance creativity, lateral thinking, and inspire connectedness. This suggests new ways to get more from your brain, your body, and your overall joy of life. Read it if you haven't!